GrimtalesRachel is making me a pic of Zwei and Mally in the universe of her GT fanfiction, Grim Tales: Devil's Fear! 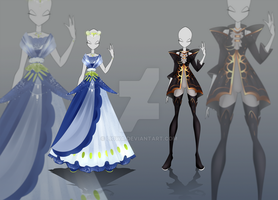 So, I went ahead and designed their hunter outfits! I did matching colors to play off the fact that they're twins! Zwei's is show-offy and frou-frou-y (and also based a little off of the outfit Zwei wore in her latest appearance), while Mally's is a bit more preppy and royal. 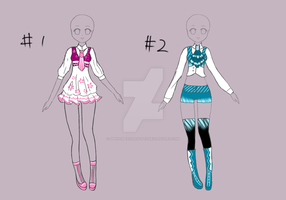 If you don't mind, GrimtalesRachel, I may go ahead and use these designs for their regular outfits! I absolutely LOVE how they turned out!! Mally, Zwei, and these designs = Me. I've always wondered, is there a sub-genre of fantasy that you have a preference for? Urban fantasy, of course, can't go wrong with mythic fantasy, and SciFi is always good. That's cool! I was wondering because I've been trying to write a story of my own for some time and I find your art inspirational for an urban fantasy concept (like a Stephen King novel but with influence from "Boogiepop Phantom" and "Serial Experiments Lain [and Earthbound/Mother and Megami Tensei franchise]), although I find some of your images such as this one inspirational for a dark fantasy that uses a mixture of several different genres (fantasy of manners, mystery, steampunk, etc. ), where it's kind of like Fullmetal Alchemist and/or Final Fantasy VI, only without a magic system. Aw~!! That's so nice!!! I've never really thought of my art as inspirational! Your image, "The Devil Within" is one of my favorites! I mean, I love your art style overall! Lol Noes! They are mines!! I like Mally's outfit :3 I tend to like classy clothes sometimes. Thank you! I'm so glad you like 'em! I forgot how much fun designing was! 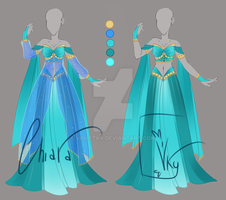 Now, if I knew how to sew, I could make a living off of costume design! Do they use any weapons? Mally has weapons training, but she mainly just uses shadow claws, but she has been known to use a black bladed scythe with a wolfs skull sitting on top, and Zwei uses free-form shadows that act kinda like whips/vines sprouting up from underneath or behind. 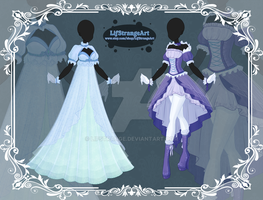 These outfits are amazing!! They're so beautiful!! What, Zwei acting like Aster? Nah, I like her better crazy. Ahh~!! I love them~!! Mally's especially!! 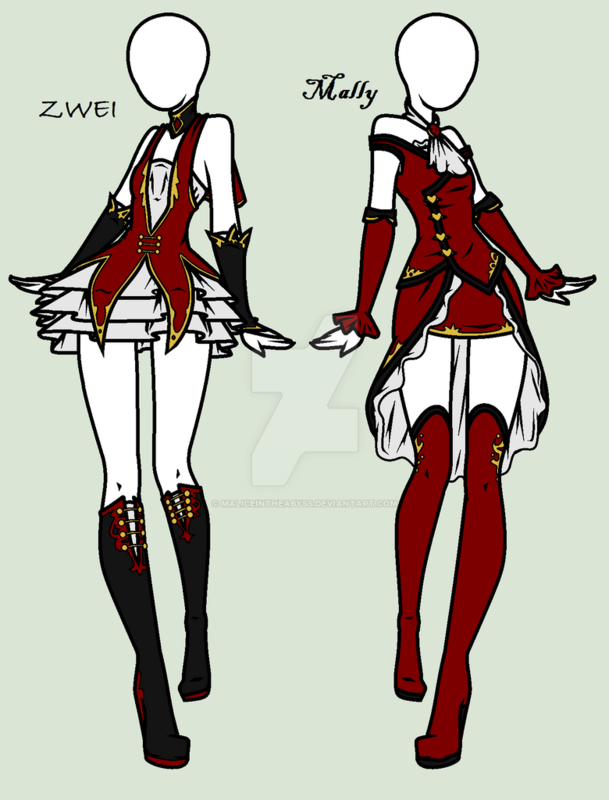 And I love how Zwei has 'frou-frou' in it! !